Khalifa University will welcome aspiring scientists, innovators and future leaders to enroll at the university during an ‘Open Day’ that will be organized on 26 January when it will showcase its comprehensive academic, research and scholarship offerings. The event at the Khalifa University Main Campus will feature highlights of the programs and facilities, including the dedicated laboratories, research centers, student life facilities, and student projects. The internationally top-ranked Khalifa University offers a wide range of research-focused, laboratory-oriented Bachelor’s, Master’s and PhD programs. At present, the university offers 12 Bachelor’s, 16 Master’s and two PhD programs with 12 concentrations, providing abundant options for students to make their academic selection. The University’s current faculty body of over 300 represent 40 countries, while 55 countries are represented in student body of more than 3,300. Already a favorite institution for UAE national and expatriate students, Khalifa University has steadily increased its profile and ranking among the regional and international universities. In the most recent Times Higher Education (THE) rankings Khalifa University was top-ranked in ‘Industry Income’ while remaining among the top 200 for Engineering & Technology subjects. Overall the University is placed in the 301-350 berth by the THE rankings, while the 2019 Quacquarelli Symonds (QS) World University Rankings placed the university 315th overall globally, among the top 31% of the 1,011 global institutions assessed. 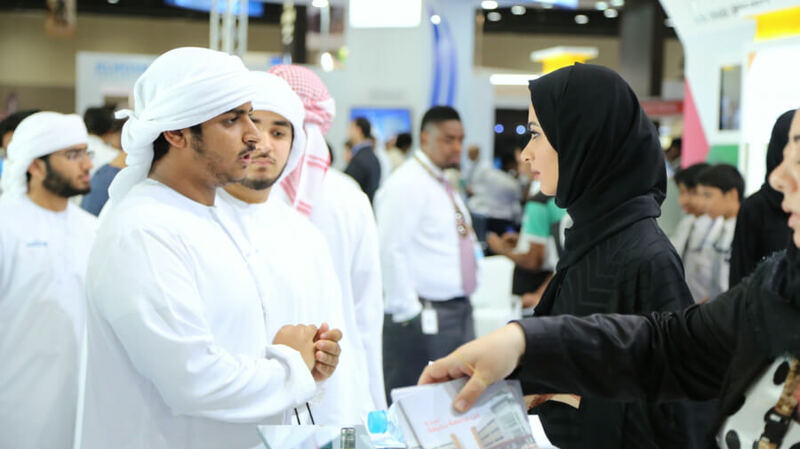 Prospective students will also have the advantage of working with continually evolving interdisciplinary, collaborative research centers in the UAE’s priority science and technology domains. The research centers cover nuclear engineering, robotics, aerospace, biomedical engineering, artificial intelligence, data science and information security, water and environmental engineering, space systems, smart technologies, advanced materials, hydrocarbon exploration and production, as well as renewable energy, and energy storage. Moreover, students are offered comprehensive scholarships covering educational expenses, as well as an opportunity to earn a monthly stipend. They include Buhooth Scholarships, Graduate Research / Teaching Assistant (GRTA) Scholarships, Waived-Fees Scholarships and Research Center Sponsorships. A team of staff, faculty and students will provide information on the admission formalities, the criteria and advice on the possible choices available for potential students depending on their academic background. All students have access to world-class research facilities, a comprehensive academic library, and other facilities, including various clubs, as well as sports and health centers.